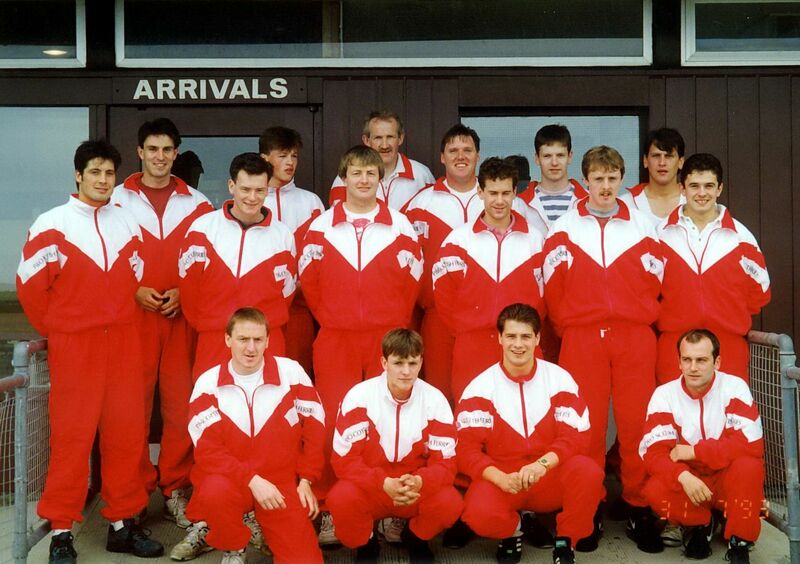 The 1993 Orkney football team pictured before flying to Shetland for the annual Mile Cup fixture. I'm pretty sure Shetland won the game 3-0. Back: Andy Walker, Erland Poke, Graham Johnston, Colin MacLeod, Martin Sutherland & Bruce Moar. Middle: Raymond Rendall, Wallace Magachie, George Colterd, Ronnie Patterson, Andy Kemp & Bob Clouston. Front: George Stout, Keith Oddie, Ally Velzian & Paddy Kirkpatrick. The game was only memorable for the number of letters that appeared in The Orcadian afterwards due to several players taking part in a Parish Cup semi-final two nights before the fixture.